August Nordenskjöld is introduced to alchemy at his home, Frugård Manor, by an uncle attempting to make gold. A student at the Academy of Turku, August delves into the writings of Swedenborg and continues his studies in alchemy in Stockholm and London. 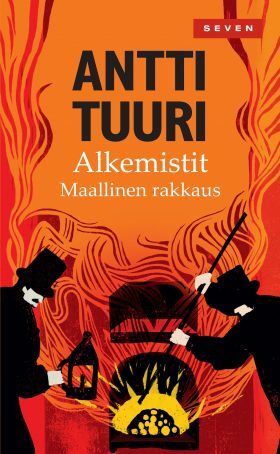 In the winter of 1787, August starts making gold in the Finnish town of Uusikaupunki with his faithful assistant, surveyor Carl Fredrik Bergklint. The process is challenging: the alchemists must keep a fire burning in their furnace for at least twelve months without interruption. But they run out of funds, and August flees his debtors to Stockholm. Meanwhile, Bergklint’s own love story comes to a tragic end, he leaves Uusikaupunki and follows August to Stockholm. The alchemists place their hope in King Gustav III of Sweden-Finland, who has promised to underwrite their enterprise.